My service begins when you initially make contact with me with an enquiry. I usually cover weddings within a 100 mile radius of Southampton, however, I may go further afield or overseas for some cases. I will let you know if I am currently available on your wedding date. If you are nearby, you may come and visit me at my home for an informal chat about your day and look through more photos if you wish. This will give you the opportunity for us to get to know each other and for you to ask questions and evaluate if I am right for you. If you would like to go ahead and book me, I will give you a Booking Form to complete and a £75 deposit will reserve the date for you. 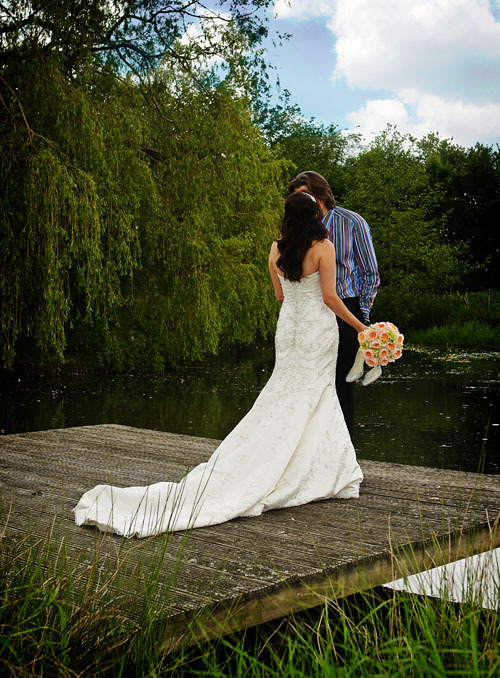 A couple of weeks before the wedding I will contact you again and arrange for a pre-wedding consultation. This is usually in person where we will meet at the wedding breakfast venue or for longer distances, may take place over the phone. We will go through your plans in detail, sketch out some timings so we both know when key moments will take place, and discuss the coverage in detail. If you have any particular ideas or special requests then I’ll happy incorporate them. I will also send you a group photo sample list for you to edit for your own family circumstances. For most of the wedding, I will be in the background quietly and unobtrusively capturing the special moments of the day, taking candid natural and reportage shots. However, during key moments such as the group photos, and couple photos, cake cutting etc I will step forward to give direction. Watch the video to see how how this is done at a typical wedding. During our pre-wedding consultation we will have planned when these key moments will take place. During a wedding, with all the excitement, time can go by really fast, and I will gently remind you when it is time for a key activity to take place. For most of the day however, I will let the day unfold as it does naturally, being unobtrusive as possible. I am very flexible and can adapt if any situation occurs during the wedding which require us to change the flow or events of the day. I’m also at your service during the day, so if you have any requests, please just let me know. Guests are welcome to approach me and ask for photos too! I’ll only grab you for a few minutes during the group photos and couple portrait photos so as not to hold you too long from the celebrations! Once the day has passed, I will get to work processing your images. These are all hand-finished and optimised for printing. It can take between 2-4 weeks on average to process all the photos, due to each one being carefully checked and process by hand. You will receive a DVD-ROM containing digital JPG files of your photos. These are standard image files which can simply be uploaded to a online photolab or printed at any highstreet photolab at your convenience.